Sepsis kills approximately 270,000 Americans each year. DRIVe’s Solving Sepsis program supports the development of transformational technologies, including preventive and mitigation measures to reduce sepsis incidence, morbidity and mortality. The DRIVe Solving Sepsis initiative is partnering with Emory University to further validate an interoperable machine learning software for early prediction of sepsis in hospital intensive care units that will provide physicians with actionable information. The project will leverage a multicenter consortium (Emory University School of Medicine, Massachusetts General Hospital, University of California San Diego School of Medicine and Atlanta’s Grady Health System) for retrospective validation utilizing a secure cloud architecture and will also execute a prospective deployment of the real-time predictive algorithm. DRIVe (Division of Research, Innovation, and Ventures) aims to achieve solutions to health security challenges through collaboration and supporting the development of innovative products and approaches. DRIVe is an initiative of BARDA (Biomedical Advanced Research and Development Authority), part of the Office of the Assistant Secretary for Preparedness and Response (ASPR) within the U.S. Department of Health and Human Services. The deep learning algorithm currently in use in the Emory Healthcare system processes high-resolution vital signs and laboratory measurements in real time to produce prediction scores and has the potential to warn health professionals of the impending development of sepsis in patients four to six hours in advance. Leveraging the Google Cloud Healthcare API (Application Programming Interface) and the Google Cloud Platform, the Emory team will optimize the software platform and undertake a prospective cloud-based implementation study, for a multi-site evaluation and validation, with an eventual goal of seeking FDA clearance as software as a medical device (SaMD) for early prediction of sepsis. The device, which would allow for detection of early signs of sepsis and the corresponding leading causes via a deep learning-based multi-dimensional time-series analysis approach, could improve clinicians' situational awareness and potentially save lives. Sepsis kills approximately 270,000 Americans each year, many of them in hospital settings. The disease occurs when the body’s overwhelming response to an infection produces a dysregulated immune response and causes serious tissue damage that may lead to organ failure and death. Sepsis is currently a serious public health threat, but could pose an even greater health security threat in the event of a chemical, biological, radiological or nuclear attack or incident, or as a complication of influenza or other infectious diseases. DRIVe and the research consortium will work in partnership, with DRIVe contributing $699,376 of the total $1.04 million estimated project cost. The consortium institutions will fund the remaining development costs. DRIVe’s Solving Sepsis program supports the development of transformational technologies, including preventive and mitigation measures to reduce sepsis incidence, morbidity and mortality. The goal is to drive innovation and develop technologies and approaches that will enhance the nation’s ability to protect Americans from 21st century health security threats. Drs. 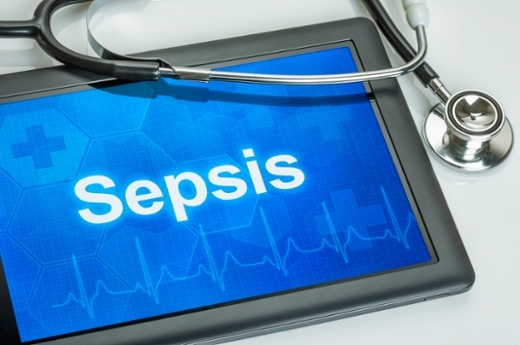 Shamim Nemati and Ashish Sharma from the Department of Biomedical Informatics at Emory University School of Medicine are leading the sepsis consortium in collaboration with Drs. Brandon Westover and Shawn Murphy at Massachusetts General Hospital, Drs. Lucila Ohno-Machado, Michael Hogarth, Christopher Longhurst, and Venktesh Ramnath at UC San Diego School of Medicine, and Drs. Andre Holder, Daniel Wu and Greg Martin from Emory University School of Medicine and the Grady Health System in Atlanta. The research team brings together in-depth expertise in Critical Care Medicine and Sepsis, Electronic Health Records (EHR) interoperability, Cloud Computing, Machine Learning and Artificial Intelligence. For more information on the work to combat sepsis through Emory's Department of Biomedical Informatics, visit: nematilab.info.